Sherbrooke OEM ltd. has shown constant innovation in its approach to designing equipment and factories. At the outset, Sherbrooke OEM ltd. primarily manufactured customized equipment for various industries. Its experience and analytical expertise in design have led the company to undertake innovative turnkey projects (integrating several pieces of equipment, participating in procedures). The inclusion of Eagle Vizion optical sorting units now enables Sherbrooke OEM ltd. to provide its clients with a new generation of highly automated sorting centers. 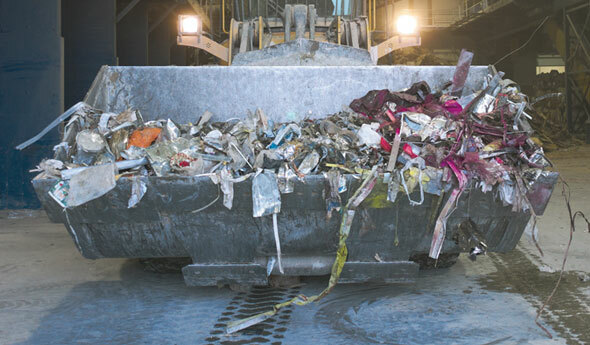 Several plants specialized in handling recyclable materials have been created. Sherbrooke OEM ltd. has developed outstanding expertise in the following principal markets presented to the left.